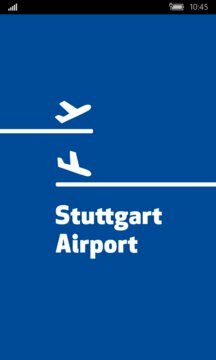 The very latest flight information direct on your smartphone: with the official Stuttgart Airport App, you receive regular status updates on your flight. The App provides you with all information on arrival and departure at a single glance: is the flight on time or are there delays, which terminal, check-in and gate, contact details for passenger check-in and the airline you’re flying with. 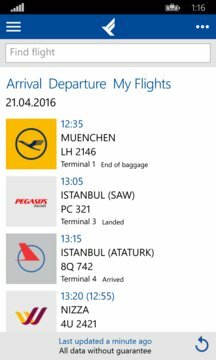 It is the comfortable solution for all those who do not want to have to search for their flight once again each time they want to check the status of their flight: With the App you just find your flight once, activate the notification function and you will find your flight immediately under “My Flights”. Push notifications inform you about any changes to your flight’s status or passenger check-in. All those who do not wish to spend too much time queuing can already get information on how much time they can expect to spend queuing at the terminal’s security controls before they even reach the airport.